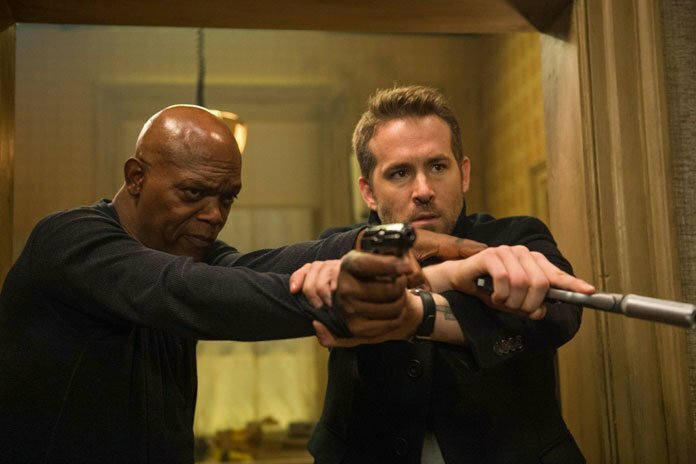 The Hitman's Bodyguard arrived a little bit late in the game. The first trailer dropped back in April long after most of us had forgotten the project was even happening, But that initial tease caught a lot of people by surprise for being incredibly funny, vulgar, and satirical about the genre it was falling into. Plus it had Samuel L. Jackson and Ryan Reynolds trading cuss words like sailors, and who doesn't want to see Nick Fury and Deadpool do that? With its nearly $22M debut it's like that a lot of people wanted to see it, and Lionsgate was smart to play off of their stars' more famous Marvel personas. The $29M-budgeted film took a mild beating from critics, although I found it to be one of the summer's purest joys, especially since action-comedies are so rare in multiplexes nowadays. It's also the rare chance to see Jackson in a leading role, not just a colorful supporting player as he was earlier this summer in Kong: Skull Island. Horror prequel Annabelle: Creation, which is a prequel to a prequel actually, dropped just 56% for a $15.5M weekend and $64M domestically. That's already 4x its $15M budget, and we haven't talked about what it's done internationally where the film has an additional $96M for $160M worldwide. The Conjuring "universe" really is a remarkable thing, as the spinoffs suffer practically no dropoff from the core movies. The Logan family curse may have extended to Steven Soderbergh's Logan Lucky, which opened with only $8M despite a litany of strong reviews. The blue-collar heist film had an abundance of star power: Channing Tatum, Adam Driver, Daniel Craig, Riley Keough, Katie Holmes, and more plus buzz generated from the Rebecca Blunt screenwriter mystery and Craig's confirmation of his 007 return. And yet it didn't matter, as it becomes tougher to sell adult-oriented movies that aren't part of some mega franchise. Girls Trip continues to make history. The surprise hit has topped $100M, making it the first ever to be written, produced, directed, and starring African-Americans. Expanding into just under 700 theaters is Taylor Sheridan's excellent, well-reviewed Wind River, starring Jeremy Renner and Elizabeth Olsen. The film will hopefully continue to roll into more theaters over the coming weeks, as Sheridan has built up enough cred as writer of Sicario and Hell or High Water to deserve it. Those movies, while directed by others, are mostly seen as Sheridan movies anyway, even though Wind River is the only one he was behind the camera for.